This is the third part of Max's Hair Conversion Project for Boys. 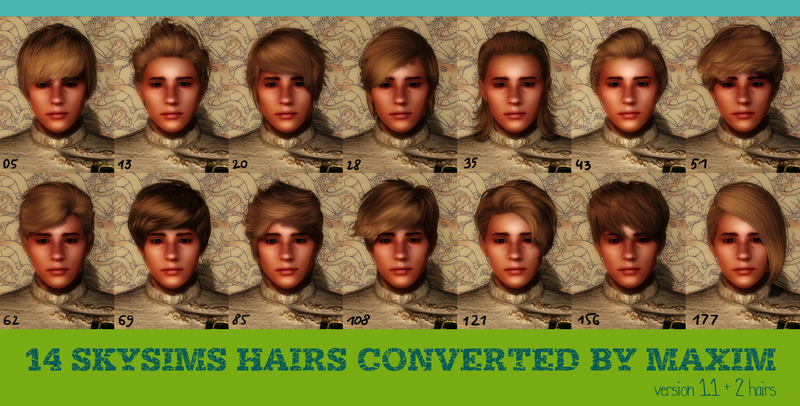 I have converted 14 male hairs originally made for the Sims2. I'll be including these hairs in Flan's races, so you could download a beautiful race which is rare for Oblivion, together with an exclusive hair package, all in one. 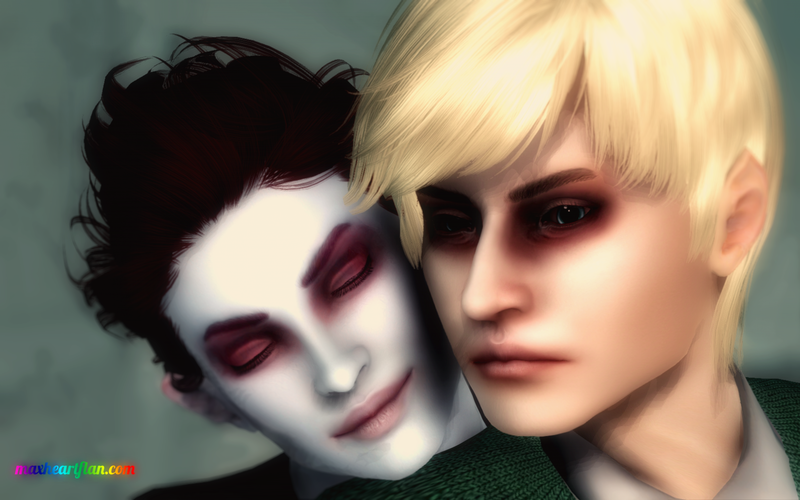 Whenever Skysims hair creator makes more male hairs, I'll be converting them to Oblivion and adding to Flan's races. Authors: Skysims + Maxim K.
- Head06 + races by Max and Flan. the races require Robert's male body replacer v.5.2. Some images for you. All the models wear Skysims hairs. As you definitely know, models Gill and Ddeath are shared in this blog as companions / playable characters. James wears Dustin's Natural tanned skin and also Flan's (of the character, that is) plain skin. Max and Flan are more than ever in love with each other. Also, I can put the hairs in any of our races or companions for you, by request. Request in the entry comments area plz. 2 hairs were added on february 1st, hence the package is 1.1 version from now on - don't miss the update! James is showing the newer hairs together with his long awaited boyfriend Eden, James is not alone at home any more. Rejoice o congregation. Trapping and Pooklet - 69 and 108 hair retexture. The Skysims hair package stays here on maxheartflan.com. The project started as a love gift for Dustin, I am not interested in putting it anywhere else. You have to add the hairs in your game yourself via Oblivion Construction Set, or you can use our races listed below. Attention : the hairs vary in the standalone pack and race packs. Refer to the hair charts to see the difference in the packs. first comment! absolutely beautiful hair set Max, Home Alone with the beautiful hairs. i hope you all appreciate this lock reorder business Max has been torturing himself with! the result is all these beautiful male hairs for all to download and put on your beloved characters. finally decent male hairs for oblivion, in abundance. praise the dark lord. Awww, its are wonderful! Really cool hairs, thank you very much! yes, dual colored/toned hairs is a great idea. i've retextured and edited the UV's of a few hairs already. i'll show you soon dear. I think I might end up using those instead of Bethesda originals. Our hairs go best with our races. I think you might want to use Max and Flan's races instead of the vanillas as well. 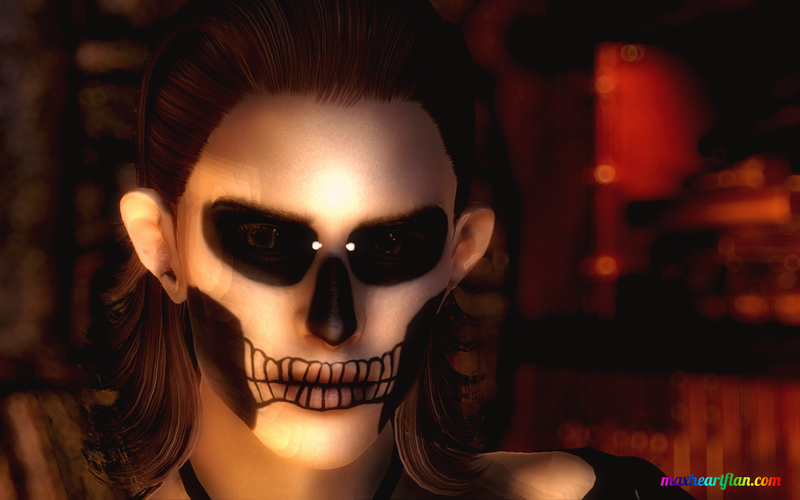 Here is the most beautiful hair mod for TES IV Oblivion. Thank you so much.